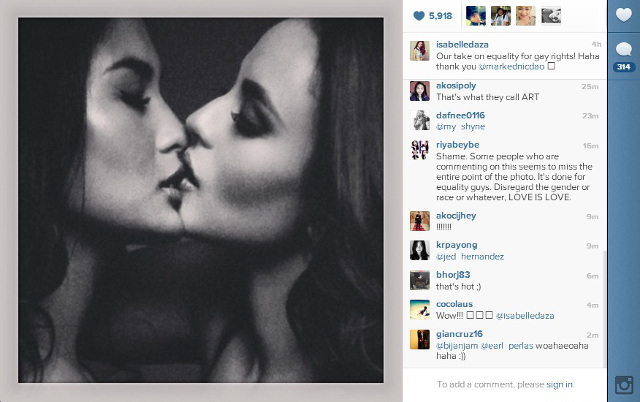 So this picture of Isabelle Daza and Georgina Wilson kissing in support of gay rights is making the rounds of the Internet today. I can predict what people are saying about it, and don’t care to post them here. Instead, I will direct you to Rappler. I strongly support gay rights, and I applaud fellow supporters. However, I feel that this particular effort is misguided. I get that they are trying to show that there is absolutely nothing wrong with homosexual relationships. No one is going to miss that message. The problem I see here, however, is that neither woman is homosexual. Some people have also commented on the incestuous aspect of the picture, given that Daza and Wilson are cousins. Others have told the former to lighten up, they’re just kissing, don’t you kiss your relatives? I’d have to agree with the critics, however. This kiss suggests passion, perhaps even mild lust. If you were to kiss your relatives, you most certainly would not be kissing them in that manner–partially open mouth, half-closed eyes do not suggest a wholesome peck. I was suddenly put in mind of my admiration for the new GMA 7 soap opera, My Husband’s Lover, which is the story of a woman whose husband is gay and is having a relationship with his best friend. Is that, therefore, also appropriation of homosexuality? I could say yes, but then again, this is acting for an actual story. In addition, it might be the best thing we could hope for at present, because Philippine showbiz lacks gay actors who are considered bankable leads and can be considered to fit the traditionally “male hetero” or cis male look; Vice Ganda does not count despite his slew of hit movies and concerts because he has adopted traditionally feminine looks. Now if we have any out gay actors who could have been considered for the roles of Eric and Vincent but were not, then we have a problem. Philippine showbiz and culture in general still has a hard time digesting the fact that not all gay people look as we have been conditioned to expect them to look. You should get it! It’s a cool feature. 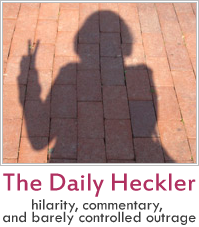 Anyway, yeah, I get that people are cheering the pic because we should be “open-minded” and all. But there’s open-minded and there’s misguided support.